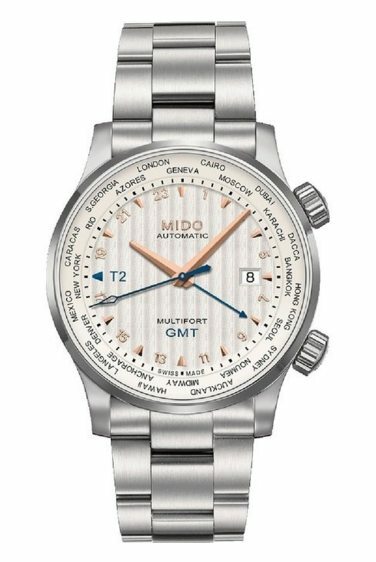 when you have already dedicated yourself to travel to beautiful places around the world, take the first step and check out this Mido Multifort GMT Watch. 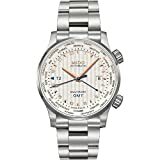 If you love to travel or when you have already dedicated yourself to travel to beautiful places around the world, take the first step and check out this Mido Multifort GMT Watch. Whether you see travelling as your life or you just want to have a cool and unique timepiece, you will surely be fascinated by this fancy Mido GMT timepiece. Case– Multifort GMT is built with 42mm in diameter and 10.35mm thick stainless steel case. Dial– The case houses a silver-tone dial with rose gold-tone index and Arabic numeral hour markers and hands. The dial is protected by sapphire crystal. Band– The case connects to a three-link stainless steel bracelet. Movement– It is powered by Mido 1193 Automatic movement. Water resistance– It is a water-resistant up to 100 meters or 330 feet. Here is a watch that easily gets compliments from people. If you are wearing this one, be sure you are ready to return all the compliments and answer the questions regarding this watch. The case comes with a silver patterned dial, the outer ring of which is beige. On its face are the fancy rose gold-tone hour markers and hands with pop of blue on the second hand and second time zone. The contrasting colors make it easy to read. The outer portion of the dial, meanwhile, is designed with major cities. For sure, you will enjoy the beauty of the piece’s stunning dial. From its face, you can see how functional this watch can be. It is furnished with GMT features, a second time zone, and date indicator. 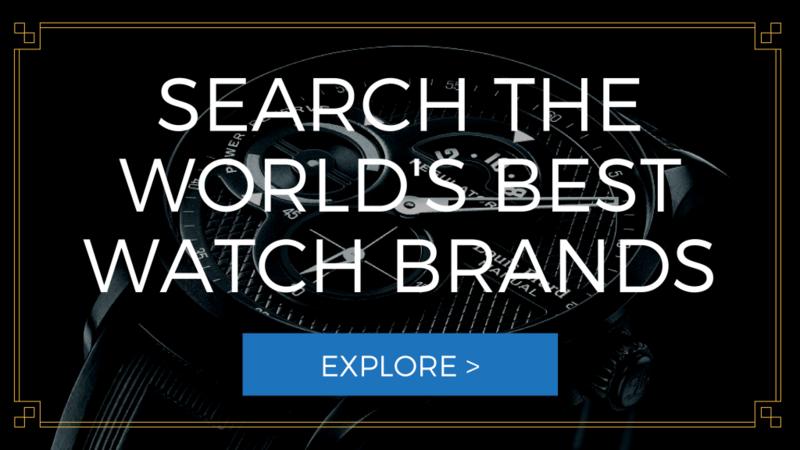 This means that this watch does more than the usual timekeeping. For this reason alone, I can say that this watch is for keeps. Moreover, it is equipped with features to ensure its durability, from the scratch-resistant sapphire crystal to the its water resistance. The Mido M0059291103100 Multifort has some disadvantages. First, this watch does not have luminous features. Second, if you are a fan of minimalist pieces, you may see this watch with a lot of things going on the dial.